Bridget Jones’s Baby leads the Christmas Week releases with a bonny transfer that’s Home Theater Forum reckons is “sharp to a fault and very detailed in its depiction of facial features, hair, and clothes textures. Another transfer that will leave you breathless is the horror movie, Don’t Breathe. According to High-Def Digest, “The digitally sourced 2.40:1 1080p transfer may not be the most colourful one you’ve ever seen, but it’s playing with light and shadow and the sense of depth is what earns it some high marks. And DVD Talk says the audio is “just as strong” as the video. “Rear channels are used often to help build atmosphere and ambience not just with sound effect placement but by spreading out the score as well. 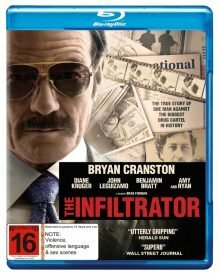 Blu-ray.com describes the 2.39:1 transfer of The Infiltrator as “a crisp, clear viewing experience, handling the limitations of the HD-shot feature. 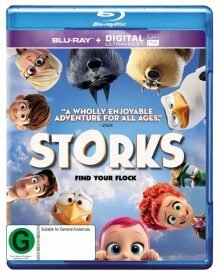 “Storks looks AMAZING and crystal clear as if straight from the digital tap,” reports Home Theater Shack. 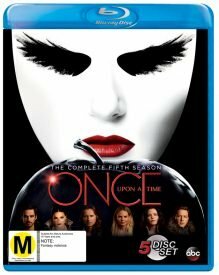 “Once Upon a Time: The Complete Fifth Season‘s 1080p transfer dazzles,” says Blu-ray.com. Prime Lands Planet Earth II?